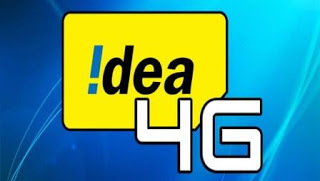 Idea Has Come Up With An Amazing Offer For It's 4G Users. Get 1GB 4G Data For Free. This Is Really Amazing Offer. You Can Use This Trick And Save Your Money On Data Pack. This Offer Only Valid For- Haryana, Madhya Pradesh, Kerala , Chattisgarh, Karnataka, Orissa, Punjab, Tamilnadu And Andhra Pradesh.